We’d love your help. Let us know what’s wrong with this preview of The Love Song of Miss Queenie Hennessy by Rachel Joyce. From the bestselling author of The Unlikely Pilgrimage of Harold Fry comes an exquisite love story about Queenie Hennessy, the remarkable friend who inspired Harold’s cross-country journey. A runaway international bestseller, The Unlikely Pilgrimage of Harold Fry followed its unassuming hero on an incredible journey as he traveled the length of England on foot—a journey s From the bestselling author of The Unlikely Pilgrimage of Harold Fry comes an exquisite love story about Queenie Hennessy, the remarkable friend who inspired Harold’s cross-country journey. 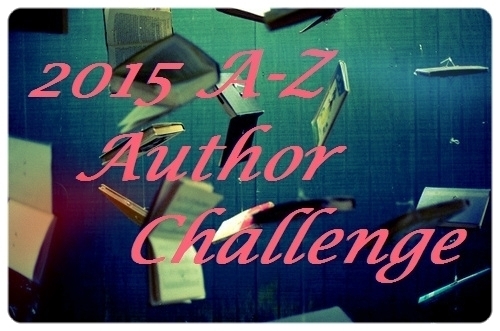 To ask other readers questions about The Love Song of Miss Queenie Hennessy, please sign up. Hi, To those who've already read the book: Can you read it without having read Harold Fry? Pam I read it without reading Harold Fry. A very moving book, but found it did stand alone ok. However now plan to read the Harold Fry one! Is there anywhere on goodreads where one can go to discuss this book? I just finished and don't want to spoil it but would love to know what others think about the ending. While I was reading The Unlikely Pilgrimage of Harold Fry, I often wondered about who Queenie Hennessy really was and why Harold Fry would make a trek walking hundreds of miles to see her before she dies . Rachel Joyce in this novel has answered all of the questions I had about Queenie and I now know that she was worth every mile that Harold walked and then some . Queenie is in a hospice spending her last days writing a letter to a man she worked with at a brewery in an English town . At the same time, that man , Harold Fry is on a walking journey to see her before she dies . We learn so much about Queenie in her letter - about her childhood, her days at the university where she studied the classics , her losses , her time working with Harold and how she spent her days after leaving , living in a beach house and tending her beloved sea garden. There should be nothing light about this story . A dying woman is in hospice writing a letter seeking forgiveness . New patients come and others die . But yet it was delightful to come to know some of Queenie's fellow patients who will make you laugh as well as cry . These characters will steal your heart . The feisty and sometimes potty mouthed Finty , Pearly King , Barbara , Mr . Henderson. Finty was my favorite as she takes to Twitter - #Harold Fry, #Queenie Hennessy, #hospice , #respect . The story at some point becomes about more than Harold's walk and more than Queenie's letter but about this group of patients and these lovely nuns especially Sister Mary Inconnu who types out Queenie's notes and gives her so much more . They drink to Harold with their nutritional drinks and then the reality of it - Barbara wishes for "one more Christmas ". A particularly moving scene was when Sister Mary Inconnu helps Queenie to feel and smell a peach and taste it when she didn't think she could swallow . Harold's journey on the road and Queenie's journey waiting for Harold becomes theirs as well . "That's it , then, " said Finty . "It's a unanermous vote. From now on , no one dies . We're all waiting for Harold Fry ." This book is about living and dying with dignity , friendship , love , about regrets and acceptance , and how people have the capacity to make people who don't know them , fall in love with them. I suppose that you could read Queenie's story on its own since it really is not a sequel but has been called a companion piece telling the story of their journeys simultaneously. I would say do yourself a favor and read The Unlikely Pilgrimage of Harold Fry in order to fully experience just how meaningful the lives of these far from ordinary people were to those around them . I'll be thinking about the ending and that last letter to Harold for a long time . Thanks to Random House Publishing Group - Random House and NetGalley. In “The Unlikely Pilgrimage of Harold Fry”, Harold believes that if he walks from his home on the South coast of England to where Queenie Hennessy is in a hospice on the North coast of England, he will be able to save her. And there is a reason he wants to save her. 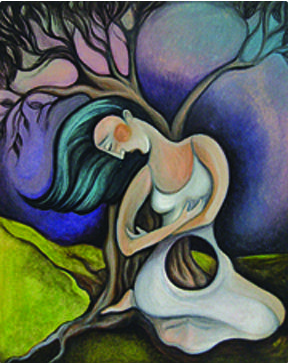 In “The Love Song of Miss Queenie Hennessy”, Queenie is on her own pilgrimage while in the hospice. She is reviewing her life, and particularly the years since she met Harold Fry at work (he says in the stationary cabinet, while she s In “The Unlikely Pilgrimage of Harold Fry”, Harold believes that if he walks from his home on the South coast of England to where Queenie Hennessy is in a hospice on the North coast of England, he will be able to save her. And there is a reason he wants to save her. In “The Love Song of Miss Queenie Hennessy”, Queenie is on her own pilgrimage while in the hospice. She is reviewing her life, and particularly the years since she met Harold Fry at work (he says in the stationary cabinet, while she says it was in the canteen). For twenty-four years Queenie has quietly and secretly loved Harold and she is intent on writing out her story in a long letter to him. There are parts of her story she feels compelled to tell Harold about. Queenie is offered assistance in her mission by Sister Mary Inconnue. Queenie can no longer speak as they had to remove part of her throat and tongue in their effort to save her life from cancer. So Queenie writes out her story in shorthand and Sister Mary Inconnue transcribes the pages, faithfully typing them out nearly every day. This story, Queenie’s story, is distressing and uplifting; it is poignant and happy. There is mourning and there is laughter. The Sisters and volunteers in the hospice embrace all the patients as family, enjoying their small victories and sharing their sorrows. Queenie writes about this as well. She wants to write down everything so when Harold reads it, he can experience the context of her journey as well. When news of Harold Fry’s pilgrimage spreads throughout the hospice, so does a new atmosphere of hope. A banner is constructed and a special corner set up for Harold Fry’s postcards and to pin up any news of his pilgrimage. It becomes a great occasion any time a postcard arrives and everyone becomes part of the excitement. In between times, Queenie writes and writes some more. Even when she is fatigued and her hand is sore, she continues to write. Her story unfolds like memories do: sometimes 24 years ago, sometimes 4 years ago, and sometimes even further than 24 years ago. Queenie is writing a very long letter; she is also composing a love song. Queenie also knows that she will not be finished until she has written Harold with all the secrets she has harbored for years. Queenie burns for Harold’s forgiveness for one secret in particular. This book is beautifully written and the story is engaging from the first page. There are some tearful moments while reading Queenie’s journey through her life, yet nothing had prepared me for the end. When it was over tears were raining down my cheeks, wetly blending wonder and sadness together. I cannot recommend this book highly enough, and to receive the full impact of the beautiful story of Harold Fry and Queenie Hennessy, I strongly recommend they be read in order. As much as I loved The Unlikely Pilgrimage of Harold Fry, I liked this one even more. Both of these books contain the stories of ordinary lives, made extraordinary because of the actions of the characters to connect with others. Harold's story was his walking 600 miles to see Queenie before she died; Queenie's story was about her wait for him in the hospice, to stay alive until he arrived. Along the way, we get both their histories. Waiting with Queenie are the other dying patients at the hospice As much as I loved The Unlikely Pilgrimage of Harold Fry, I liked this one even more. Both of these books contain the stories of ordinary lives, made extraordinary because of the actions of the characters to connect with others. Harold's story was his walking 600 miles to see Queenie before she died; Queenie's story was about her wait for him in the hospice, to stay alive until he arrived. Along the way, we get both their histories. Waiting with Queenie are the other dying patients at the hospice and the gentle nuns who care for them. Harold's postcards sent from the road give them all a small measure of hope, that they too can hang on to await his arrival. Where we get Harold's story from his thoughts and encounters along the road, Queenie relates her history in a letter to Harold, since she can no longer speak because of her tumor. We know from the first book that Harold gets to Queenie just before she dies, but there is a surprising twist at the end regarding her letter. This was a wonderful book with a lot of everyday wisdom that slips up on you as you read, like this passage: "It has been everywhere, my happiness - when my mother sang for me to dance, when my father took my hand to keep me safe - but it was such a small, plain thing that I mistook it for something ordinary and failed to see. We expect our happiness to come with bells and whistles, but it doesn't." Not a Harold Fry prequel or sequel but a parallel story, told in Queenie’s first-person narration as an extended deathbed letter as she waits for Harold to arrive. The humor-tinged hardship of hospice life alternates with touching vignettes from her past. Better than the original – more inventive, allusive and intimate. When I saw Joyce speak at the 2014 Hungerford Literary Festival, she mentioned that she wrote Harold Fry and Queenie Hennessy simultaneously, emphasizing the idea that these two Not a Harold Fry prequel or sequel but a parallel story, told in Queenie’s first-person narration as an extended deathbed letter as she waits for Harold to arrive. The humor-tinged hardship of hospice life alternates with touching vignettes from her past. Better than the original – more inventive, allusive and intimate. When I saw Joyce speak at the 2014 Hungerford Literary Festival, she mentioned that she wrote Harold Fry and Queenie Hennessy simultaneously, emphasizing the idea that these two characters are journeying side by side. In fact, Joyce revealed that there are plot crossovers between the novels. For instance, towards the end of his walk Harold has to tape his yachting shoes onto his feet; to finish writing her letter, Queenie asks a nun to tape her pencil into her grip. “My life has been small, it has been nothing to speak of. But the past is still inside me, Harold. I have never let it go.” It is a privilege to hear Queenie’s voice here. EXCERPT: Your letter arrived this morning. We were in the dayroom for morning activities. Everyone was asleep. Sister Lucy, who is the youngest nun volunteering in the hospice, asked if anyone would like to help with her new jigsaw. Nobody answered. “Scrabble?” she said. I was in a chair by the window. Outside, the winter evergreens flapped and shivered. One lone seagull balanced in the sky. “Hangman?” said Sister Lucy. EXCERPT: Your letter arrived this morning. We were in the dayroom for morning activities. Everyone was asleep. A patient nodded, and Sister Lucy fetched paper. By the time she’d got sorted, pens and a glass of water and so on, he was dozing again. Life is different for me at the hospice. The colors, the smells, the way a day passes. But I close my eyes and I pretend that the heat of the radiator is the sun on my hands and the smell of lunch is salt in the air. I hear the patients cough, and it is only the wind in my garden by the sea. I can imagine all sorts of things, Harold, if I put my mind to it. “Oh, oh, oh,” went everyone, sitting up. Sister Catherine passed several brown envelopes, forwarded, to a Scotsman known as Mr. Henderson. There was a card for the new young woman. (She arrived yesterday. I don’t know her name.) There is a big man they call the Pearly King, and he had another parcel though I have been here a week and I haven’t yet seen him open one. The blind lady, Barbara, received a note from her neighbor—­Sister Catherine read it out—­spring is coming, it said. The loud woman called Finty opened a letter informing her that if she scratched off the foil window, she would discover that she’d won an exciting prize. I knew your writing. One glance and my pulse was flapping. Great, I thought. I don’t hear from the man in twenty years, and then he sends a letter and gives me a heart attack. THE BLURB: When Queenie Hennessy discovers that Harold Fry is walking the length of England to save her, and all she has to do is wait, she is shocked. Her note had explained she was dying. How can she wait? MY THOUGHTS: I didn't want this book to end......I quite fell in love with Miss Queenie Hennessey and the other residents of the hospice. This book moved me to tears, made me laugh, made me think about me relationship with my mother, with my grandmothers, with my sons. It made me remember how selfish we are as young adults, so uncertain in ourselves, but so certain that we know so much more than our parents. It brought back memories, both good and painful. This delightful book is a journey in itself. Queenie has had to move into the hospice to die - she is removed from her beloved house by the sea and her sea garden, her garden of tribute to those she has loved, her garden of memories. Faced by her imminent death, she writes to Harold Fry, her unrequited love, and he sets out to walk the length of England to be with her. Scared that she will not live long enough to see him, she takes up the challenge when a new volunteer at the hospice suggests that Queenie should write again; only this time she must tell Harold everything. His unlikely pilgrimage captivates the other hospice residents, with whom Queenie - who has kept herself apart since her arrival - slowly makes friends. I will be seeking out Rachel Joyce's other works. An unreserved recommendation from me. While Harold Fry is walking through England and Queenie is trying to hold on and wait till he arrives before she dies, she writes him a letter confessing secrets hidden for twenty years. I liked reading Queenie’s story and about her unrequited love for Harold. I liked the interaction between her and David, Harold’s son, though I don’t think I’d have been as generous as she was. I loved reading about her sea garden. The writing is beautiful, especially the description of the Northumberland Coast ‘I sat with my suitcase, and while I ate the bread and drank the water I gazed out over the bay. The sun was high and threw stars at the sea. The air shimmered with heat, like a veil of water.’ I was right there with Queenie. So I enjoyed the writing, except for the intrusive f word that popped up at times. Some of the people in the hospice were certainly characters and the nuns caring for them lovely. But the main impression I was left with after reading this book is, I hope and pray I never have to go into a nursing home or a hospice. It sounds like my idea of hell. This may come to you as some surprise. I know it is a long time since we last met, but recently I have been thinking about the past. Last year I had an operation on a tumour, but the cancer has spread and there is nothing left to be done. I still think of you with fondness." If you loved The Unlikely Pilgrimage of Harold Fry, as I undoubtedly did, then this is the companion book, to be read just as soon as you have put that book down and composed yourself. That said, it took me three months after reading the first book to get to this, even though it was blowing me kisses from a crammed bookshelf, and after that it's taken a further four months to write this review! Just like its platonic companion, this is a heartwarming tale of selfless devotion and the unsung magnanimity of humankind. Queenie Hennessy is a woman in love who has waited in the wings without complaint. As with The Unlikely Pilgrimage, Queenie's story will make you smile, will uplift you, and will almost certainly move you to tears. What a wonderful companion piece to Joyce's The Unlikely Pilgrimage of Harold Fry. The timing of this novel is parallel to that earlier work and it tells of what is happening while Harold walks, the reason he walks, the present life of Queenie and their interlacing history. It would be easy to say too much of the story, such as it is, and I do not want to do that. Those who have read of Harold know that Queenie is dying, but here we learn of her living and of her life when she knew Harold and af What a wonderful companion piece to Joyce's The Unlikely Pilgrimage of Harold Fry. The timing of this novel is parallel to that earlier work and it tells of what is happening while Harold walks, the reason he walks, the present life of Queenie and their interlacing history. It would be easy to say too much of the story, such as it is, and I do not want to do that. Those who have read of Harold know that Queenie is dying, but here we learn of her living and of her life when she knew Harold and after and now in the Hospice. There were moments in this story that just spoke so strongly to me. What might seem like obvious truisms to some, were very meaningful to me. As one who has spent more time sitting than moving in recent months, this is so relate-able for me. Joyce has captured this so well. And the following moment of extreme restlessness, whether from physical or emotional discomfort--also is captured so well, so simply. Rachel Joyce has given us a wonderful woman in Queenie Hennessy, a woman with heart and soul, a woman full of memory. For that, I thank her. There will be people who really like this. Unfortunately, I am not one. I found this novel comparable to one by Nicholas Sparks and, yet, he is extremely popular. I found it to be so-so. The characters were cut-out paper dolls and the story was just so slow and plodding. For people who like this genre, I am sure it will be a good read. This is a companion book to the "Unlikely Pilgrimage of Harold Fry and tells the story of Miss Queenie, the woman Harold was on the journey to see. Queenie is in There will be people who really like this. Unfortunately, I am not one. I found this novel comparable to one by Nicholas Sparks and, yet, he is extremely popular. I found it to be so-so. The characters were cut-out paper dolls and the story was just so slow and plodding. For people who like this genre, I am sure it will be a good read. her story in shorthand that was transcribed by a nun. She wants to give it to Harold when he arrives to explain herself to him. The story meanders between her times with Harold, her "exile" and her current circumstances. When I say meander, I mean meander. I was silently screaming to myself, "Just get on with it". After reading thousands of books in my lifetime, I just finished one of most profoundly written and memorable books ever. Perhaps I should have given more thought to this review before writing it, but I had no idea how emotionally involved I had become with each of the characters in this story, until I was literally sobbing after closing the pages of this book. I read Ms. Joyce's "The Unlikely Pilgrimage of Harold Fry," and immediately ordered a copy of "The Love Song of Miss Queenie Hennessy." So After reading thousands of books in my lifetime, I just finished one of most profoundly written and memorable books ever. So many books...as they say, but I definitely want to re-read these two books again. Thank you Ms. Joyce for sharing your remarkable talent with the world. Miss Queenie Hennessy had lived for twenty years at her little seaside cottage since she had left Kingsbridge where Harold Fry lived. Twenty years while she tended her beloved sea garden and thought daily of Harold and her deep love for him. But Harold was married to Maureen, so Queenie’s love had been one sided; quiet and unattainable. But when Queenie’s body was slowly taken over by cancer and she was no longer able to care for herself, she entered the nearby hospice where she would spend the remainder of her life, cared for by the kind and devoted nuns of St Bernadine’s. Unable to speak, she had her notebook and pencil with her always. As she deteriorated, she decided to write a short letter to Harold to let him know she was dying; but when she received a reply from him stating he was walking to her and she was to wait, she and the rest of the residents were astounded. The Love Song of Miss Queenie Hennessy is a sweet, at times laugh aloud funny novel which is the parallel book to The Unlikely Pilgrimage of Harold Fry. As Queenie writes her thoughts in her notebook, we learn the depth of her feeling for Harold; the story of her years working with him, and of her regrets. But I was a little disappointed that I didn’t enjoy it as much as I expected – certainly as much as friends have; I felt it was drawn out and tedious in places. I certainly enjoyed The Unlikely Pilgrimage of Harold Fry more, but would still recommend this one to others. Queenie Hennessey is slowly dying. With her body riddled with the scourge of cancer and knowing she does not have much more time she writes to an old friend who she has not seen for over 20 years. When she discover's Harold is walking across the country in a bid as he sees it to save her she decides she has to come clean with her past feelings towards him and what she believes is her role in the fate of his son. With the help of kind staff Queenie writes to Harold about the short time she spent w Queenie Hennessey is slowly dying. With her body riddled with the scourge of cancer and knowing she does not have much more time she writes to an old friend who she has not seen for over 20 years. 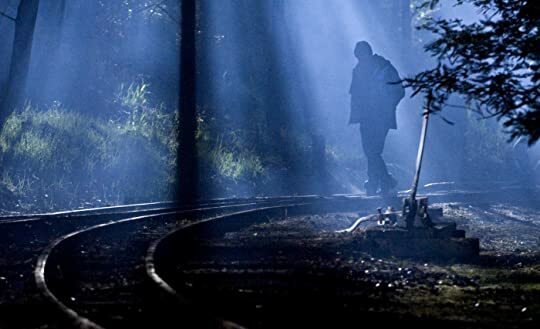 When she discover's Harold is walking across the country in a bid as he sees it to save her she decides she has to come clean with her past feelings towards him and what she believes is her role in the fate of his son. With the help of kind staff Queenie writes to Harold about the short time she spent with him when she unexpectedly fell in love and despite knowing he was married was happy to admire from the sidelines. The beginning of the end for her and Harold will come with David. In his fathers eyes is a wayward son, who would “rather die than be ordinary”. What he does not know is the lopsided attachment between the two as despite him stealing from her, she does nice things for him such as lending him money and books. Despite her efforts, she fails to rescue him from the darkness that overcomes him. I may be in a minority, in that I actually enjoyed this companion-piece to HAROLD FRY more than the original - perhaps because I was expecting less. Queenie's voice is well-pitched and sure; and the banality of her environment throws her rich inner life into sharp relief. There's something about this book that reminds me of some of Jane Gardam's work, especially THE QUEEN OF THE TAMBOURINE, which I love. It's touching, but not saccharine; simple, but deceptive; crammed with authentic details. This author can certainly write. Many of you know all the quotes I've been filling your feed with over the last several days from this book. She captures these quiet intimate moments, the aching inner reflections in sentences that seize me. 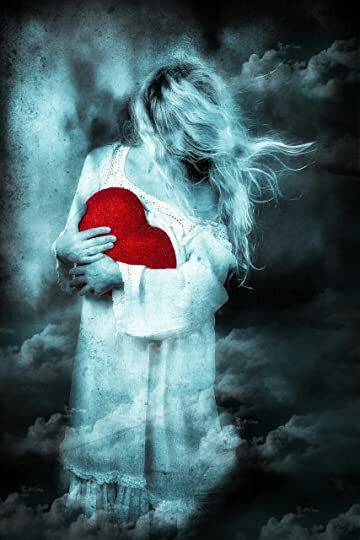 "Sometimes you can love something not because you instinctively connect with it but because another person does, and keeping their things in your heart takes you back to them." 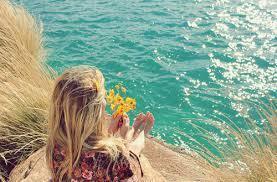 "I see only the different parts of my life as if I were a child on the Stunning. "I see only the different parts of my life as if I were a child on the banks of a river and setting each one to drift, small as flowers on the water." "The world is full of women who have children, and women who don't, but there is also a silent band of women who almost had them." If you haven't read The Unlikely Pilgrimage of Harold Fry, it won't be a problem. This is just fine as a stand-alone novel. Queenie is dying. She spent much of her life in love with a simple man who could never be hers. When she finds out that Harold is walking over 600 miles to see her in the hospice, she begins her own journey. She starts slowly recounting and writing her life before, during, and after Harold. The terrible thing that happened led both of them, in their own way, to withdraw from the world. In The Unlikely Pilgrimage of Harold Fry, we read about Harold's life before, during, and after Queenie. During his journey, he has time to reflect and come to terms with the terrible thing that happened, his friendship with Queenie, and his marriage. He learns from the myriad of people he encounters on his long walk across England, and many are touched by him in some way. While Queenie is in the hospice, she is surrounded with patients and hospice nuns around her that are as varied and distinct as flowers in a garden. The wonderful moments that were created by the nuns at the hospice were so meaningful to me since I work in hospice. This is a testimony of how we affect each other, how grief moves through us, and how the choices we make determine our present and future. Queenie's story comes slowly to life, winds it's tendrils around your heart, and wraps you close like a warm blanket. You will smile, ache, and hope for her as you immerse yourself in her story. Harold Fry made me cry at lot and I don’t cry easily!...I was delighted to receive The Love Song of Miss Queenie Hennessy as a Christmas gift so that I could continue with the story from Queenies perspective. Thanks Marion! Rachel Joyce has stated that Queenies story is not a sequel to Harold Fry, but rather a companion to the first book and that’s exactly what it is, a parallel version of events told from Queenies point of view. In this book, Queenie is in the hospice waiting for Harold’s arrival and the story is told from her side, her reminisces of the past, her feelings for Harold, her experiences with Harold’s son and her attempt to confess secrets she feels need to be revealed. This book was simultaneously both humorous and very sad. The very amusing, witty and entertaining aspects were provided by the other residents and carers in the hospice who were absolutely wonderful characters. It was almost ironic that these characters could have so much fun together while slowly dying in a care facility or taking care of those dying, but their wit, enthusiasm, friendship and support for each other is what got them through their last days. I adored Queenies character, her telling of her experiences out with Harold on their road trips for work, and her sea garden. I could imagine the sea garden so clearly from the descriptions and it sounded just wonderful. I wasn't too enamoured with the story of Queenies experiences with Harold’s son and this is probably the only reason that I refrained from giving this book five stars. In addition, as with Harold Fry, I really loved the little illustrations throughout the book. This was an excellent read, a complimentary addition to Harold and Queenies story and I admit I did shed a tear or two throughout this one too. Recommend if you loved Harold Fry. My first reaction to hearing about the existence of this book was confusion. Many of the discussions I had in person and online around the companion book The Unlikely Pilgrimage of Harold Fry centred around the real feelings of Queenie towards Harold, the conclusions tending toward the book’s theme being in part about that mystery and Harold’s realisation that he would never know. So in some respects the appearance of this book blasted apart that theory. Very much a companion book the Love Song of Queenie Hennessey is written from the perspective of Queenie who is ‘writing’ letters to Harold from her Hospice bed. The narrative jumps between Queenie explaining the past and her experiences at the home. In general the prose is sharp and the book is well written with some genuine humour and heart-break at times. Nonetheless I did not actually appreciate this instalment of the tale. Hearing about Queenie’s genuine love for Harold was mildly sweet, however destroyed the mysteries mentioned above (I don’t know if others felt the same.) Stretching the story out to reveal a relationship between Queenie and Harold’s son David just seemed contrived, especially the cliché of Queenie being with David on the night of his death, conveniently structured to give Queenie the guilts without her actually being at all to blame. Overall the story lacked verve and tension – I’m not sure if anyone would pick this up without having read The Unlikely Pilgrimage, but having nothing to encourage page turning but a scene we already saw, this time from Queenie’s perspective the book dragged. In The Unlikely Pilgrimage of Harold Fry, author Rachel Joyce took us on amazing journey, as Harold walked from one end of England to the other to visit Queenie, a work colleague and friend from his past who is dying in a hospice, and who has sent him a letter. In this book we hear not only the parallel story of what is happening to Queenie whilst Harold is making his epic journey, but we learn the nature of their long ago friendship, and of why Queenie fled to make a new life elsewhere. The story In The Unlikely Pilgrimage of Harold Fry, author Rachel Joyce took us on amazing journey, as Harold walked from one end of England to the other to visit Queenie, a work colleague and friend from his past who is dying in a hospice, and who has sent him a letter. The story of Harold's adventure was heartwarming, but in The Love Song of Miss Queenie Hennessy, the author takes the writing up several notches to moving....perhaps profoundly so....as we learn of Queenie's true feelings for Harold, and hear about a tragic event which she feels she could perhaps have prevented, and which haunts her. Queenie is persuaded by an enigmatic volunteer who becomes her friend and supporter, to write another letter in which she explains everything, and as the details of her past life unfold, life in the hospice goes on around her. We meet several of the other residents, some of whom play a large part in the story, and some who appear only fleetingly, but who will all very likely move you to tears. The author describes this as a companion book to The Unlikely Pilgrimage of Harold Fry and that is very much what it is. As well as telling us more about Queenie's life and what she has been doing since she left Kingsbridge, it also tells her side of Harold Fry's story as he is walking towards her. I received an ARC copy of The Love Song of Miss Queenie Hennessy from Netgalley without realizing that it was the second in a series and was completely unprepared for what I found in these two novels. If you haven't read The Unlikely Pilgrimage of Harold Fry, you should. In the first novel, Harold receives a letter from an old friend saying that she was dying of cancer and was writing to say goodbye. After conflicting emotions on what to say, Harold decides to walk across England to see her. The Love Song of Miss Queenie Hennessy shows the other side of the story. After Queenie learns of Harold's pilgrimage, she begins to write him a letter revealing her secrets and all of the things that she feels she needs to tell him from their time of knowing each other. This story if filled with love, humor that will have you laughing out loud (literally), and undeniable sadness and beauty. You cannot help but to feel the pain and love of these characters. I connected them with all of them so deeply. "I have waited so long and you have walked so far that neither of us is in any hurry to arrive. Endings it seems, are not all they are cracked up to be." This was a wonderful followup to The Unlikely Pilgrimage of Harold Fry. I know the author does not intend this to be a series read, and it can be read as a stand alone, but these two books compliment each other so well both in storytelling and my ratings! They both get solid 5 stars. Rachel Joyce is such a wonderful writer. I listened to this one and the narrator did a fantastic job as well. Loved it. Anyone who has read my reviews probably knows how much I loved the novel, 'The Unlikely Pilgrimage of Harold Fry' by Rachel Joyce. That story.. a very simple story of an ordinary man who undertakes a journey of 600 walking miles to say goodbye to an old friend spending her remaining days in a hospice… spoke to my heart in so many ways. When I discovered that Rachel Joyce had written a novel which would be a companion to Harold's story, I was filled with both excitement AND trepidation. I would o Anyone who has read my reviews probably knows how much I loved the novel, 'The Unlikely Pilgrimage of Harold Fry' by Rachel Joyce. That story.. a very simple story of an ordinary man who undertakes a journey of 600 walking miles to say goodbye to an old friend spending her remaining days in a hospice… spoke to my heart in so many ways. When I discovered that Rachel Joyce had written a novel which would be a companion to Harold's story, I was filled with both excitement AND trepidation. I would only be disappointed by this book, right? In fact, I waited a couple of years to read the book, 'The Love Song of Miss Queenie Hennessy' and I am far from being disappointed. Unlikely as it seemed to me when I began the novel, I ended up loving it even more! This book, which was written as occurring simultaneously with Harold's journey to Saint Bernadine's Hospice at Berwick-upon-Tweed, was written from Queenie's point of view; and when Queenie realized that her good-bye letter to Harold had inspired him to walk those hundreds of miles to see her in person, she was alarmed and frightened. Would she live long enough to see him again? Her tumor had, at this point, left her unable to speak. Plus, Queenie's fear had roots in the secrets she had been keeping for more than two decades. She knew in her heart that Harold needed to hear the secrets she had guarded so closely. In fact, she had moved away and left her entire life behind to guard those secrets. That had left her isolated and the only comfort she had found was in a garden she had constructed by the sea. You don't really need to read 'The Unlikely Pilgrimage of Harold Fry' to understand and appreciate this book but I found that Queenie's story adds so much more depth to the characters; so I would recommend reading Harold's viewpoint first. I don't want to give too much of the story away so as not to spoil either book but I can express how much I loved this story and all of its characters. The hospice in which Queenie was spending her final days is a charming place.. not dreary or hopeless. In fact, the staff and patients seem as if they are a large family. 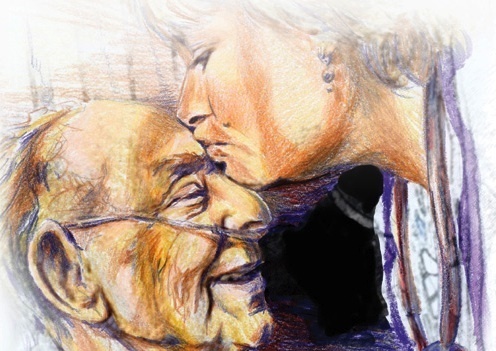 The hospice is full of wonderful characters all simply living their lives one day at a time.. and savoring each day. There is Sister Lucy, a staff member, who is obsessed with jigsaw puzzles. There is always a puzzle under construction almost as if it has been placed there to encourage the patients.. after all, you don't want to give up your life until you have finished your business and have placed everything in order. And then, there is Sister Mary Inconnu. She is encouraging and helping Queenie to put the secrets she wants to tell Harold to paper, one word at a time. There is Mr. Henderson, Barbara, Finty and the Pearly King… all splendid characters , full of life, meeting each day to work on the puzzle and coaching each other to ingest the horrible protein shakes which are purported to taste like "wet cardboard". All of the patients are aware of Harold's journey and in fact, are following him on Twitter, even tweeting their own words of encouragement. Queenie is following Harold's journey as well.. through all of his stumbling and setbacks; and she is feverishly working through Sister Inconnu to tell her story. We learn of Queenie's early life, her parents and how much they cherished her, mistakes that she made and what led her to Kingsbridge where her life intersected with Harold's life. And this is where we discover her secrets… a secret which will most likely hurt Harold terribly because it pertains to his son, David. We learned about David in Harold's story but a big piece of this puzzle was missing… Queenie has those pieces. And this is where we learn of Queenie's feelings for Harold and why she suddenly disappeared from his life.. and HER life.. two decades earlier. Queenie had seen Harold not as average or ordinary but as an extraordinarily kind and gentle man… and she had fallen in love with him.But knowing that he was married, she had kept her feelings hidden and chosen to love him from afar. When finally Harold arrived at St. Bernadine's Hospice, it was clear that Harold in his usual way had not prepared for what he would find. And Queenie… well, she witnessed Harold's feelings play out across his face … "Oh, and I saw it all, Harold. The look of shock. Horror and pity too. And the guilt that the sight of me aroused such feelings. You walked all that way and you believed I'd be pretty? I'm sorry, Harold for the way the truth lies." What was so apparent in this story is that Harold used the logic of his mind to see the world and the people in it; but Queenie saw the world with her heart… at least until that moment that changed everything for Harold. There are so many great themes in this book …. that of guilt and the lies people tell to protect the people they love… memory and how fluid it can be and how it somehow softens around the edges over time… the challenges of viewing the world in just black and white, as Queenie said, "People are rarely the straightforward things we think they are. Even the villains in a story can turn round and surprise us."….. and of course, there is the theme of unrequited love. Queenie's story ends just as you might expect it to end (and I don't believe this is a spoiler as she IS in a hospice); but before the story ends, Rachel Joyce (as she seems to often do) throws in an unexpected twist to the story.. a twist which, I admit, left me feeling stricken at first. Upon thinking about it, I realized that given what we learn of Harold and Queenie, the story probably couldn't have ended any other way. In the end, Queenie revealed herself and her secrets and looking back at her life, she felt a sense of peace and happiness after all. As she so beautifully stated, "All these years, Harold, I have waited to tell you that I loved you. All these years I thought a piece of my life was missing. But it was there all along…. it has been everywhere, my happiness- when my mother sang for me to dance, when my father took my hand to keep me safe-but it was such a small, plain thing that I mistook it for something ordinary and failed to see. We expect our happiness to come with a sign and bells but it doesn't . I loved you and you didn't know. I loved you and that was enough." There are so many things you still don't know. My secrets have been inside me for twenty years, and I must let them go before it is too late. I will tell you everything, and the rest will be silence. 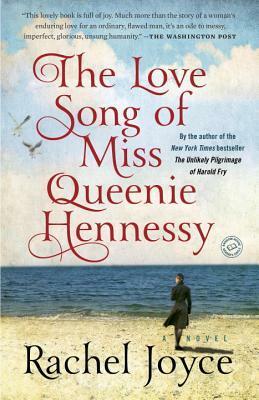 The Love Song of Miss Queenie Hennessy is a companion novel to The Unlikely Pilgrimage of Harold Fry. Queenie Hennessy is dying, so she sends a note to her old friend Harold Fry. He sends back a response that he is walking to see her, a distance of 600 mil There are so many things you still don't know. My secrets have been inside me for twenty years, and I must let them go before it is too late. I will tell you everything, and the rest will be silence. The Love Song of Miss Queenie Hennessy is a companion novel to The Unlikely Pilgrimage of Harold Fry. Queenie Hennessy is dying, so she sends a note to her old friend Harold Fry. He sends back a response that he is walking to see her, a distance of 600 miles, and he wants her to wait. As he walks, a volunteer convinces Queenie to write him another letter, confessing her secrets and in doing so she begins a journey all her own. For once in my life, I will stay in the same place and see something through. You will keep your job, and I will try to bring you happiness. I will not ask for anything more. Oh, Harold. How did I get that so wrong? This book was the perfect companion novel. We are shown the other side of the story and explains some of the events that Harold remembers in his tale. It is a powerful story of love and atonement and quickly had me in tears. The way the sudden removal of a person is a reminder of one's own fragility before we resume the familiar, ordinary things that make us feel untouchable again. Queenie has kept secrets for 20 years, and it was beautiful to watch her confess those and come to terms with things that had plagued her. Things that she had forced herself to pay penance for. I really connected with the cast of characters, even the secondary characters, especially Mr. Henderson, who had a sick sense of humor. The ending is bittersweet and powerful, and left me thinking about it for hours after I turned the last page. 'The Love Song Of Miss Queenie Hennessy' isn't a sequel or a prequel to the marvellous 'The Unlikely Pilgrimage Of Harold Fry' but rather a companion novel. It takes place over the same timeframe as 'Harold' but is told from the point of view of the object of Harold's quest, the titular Queenie Hennessy. If you've read 'Harold' (and I would definitely recommend reading that book first, despite this not technically being a sequel) then you know the ultimate outcome of both books but believe me whe 'The Love Song Of Miss Queenie Hennessy' isn't a sequel or a prequel to the marvellous 'The Unlikely Pilgrimage Of Harold Fry' but rather a companion novel. It takes place over the same timeframe as 'Harold' but is told from the point of view of the object of Harold's quest, the titular Queenie Hennessy. If you've read 'Harold' (and I would definitely recommend reading that book first, despite this not technically being a sequel) then you know the ultimate outcome of both books but believe me when I tell you that there are still some huge surprises in this companion novel that will initially make your head spin, followed by a feeling of 'Oh, but of course'. Of all the twists in this book, there was only one that I could honestly say I saw coming a mile away. The only other negative thing I can say about this book is that I didn't like the chapter titles. It's not that the chaper titles were bad chapter titles; it was more that this book is written as a series of letters from Queenie to Harold and I've never heard of anybody giving a personal letter a title before.